For the Carolina Panthers (1-4), the hits just keep on coming. On Sunday, the Panthers squandered opportunities, coughed up turnovers, and capped off the worst offensive performance in Ron Rivera’s history in a loss to the visiting Seattle Seahawks (3-2). The chances just kept piling up for the Panthers towards the end of the game. Cam Newton had a fourth-and-goal opportunity to take the lead but pressure and poor execution turned over the ball and left the Panthers with a steep hill to climb. The Panthers had two possessions in the final 5 minutes but failed to capture the lead despite defensive stands that provided the offense with good field position and plenty of time. Newton completed 12 of 29 passes for only 141 yards on the day; he was sacked four times and fumbled the ball away for the third time in five games. The Carolina offense only compiled 190 yards of total offense – less than the amount that opposing quarterback Russell Wilson threw for (221). The Carolina defense, however, continued to show growth despite losing their last three games. 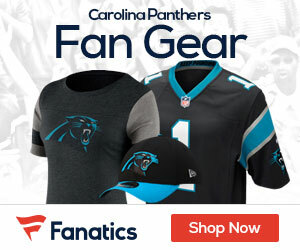 On Sunday, the Carolina defense forced three turnovers and scored their second defensive touchdown of the season on an interception that was run back 33 yards by cornerback, Captain Munnerlyn. Linebacker Luke Kuechly exploded in the middle of the field where he took over for injured linebacker, Jon Beason, at middle linebacker. Kuechly totaled 11 tackles and intercepted Seahawks quarterback, Russell Wilson. The improvements continue to be made around the defense after the critical observation they received following the 2011 season. The progression of the defense continues to be a big part of the plans in Carolina to start winning games. As for the offense, the upcoming bye week for the Panthers won’t be able to remedy their poor performance, but it may aid the Panthers in beginning the long process of repairing what used to be their biggest asset. Not to steal the show from the Seahawks, Russell Wilson and his supporting cast simply out-played the Panthers on Sunday at Bank of America Stadium. Wilson threw for 221 yards, completing 19 of 25 passes for one touchdown and two interceptions. The Seahawk defense has continued to prove they belong among one of the elite defenses in the National Football League. 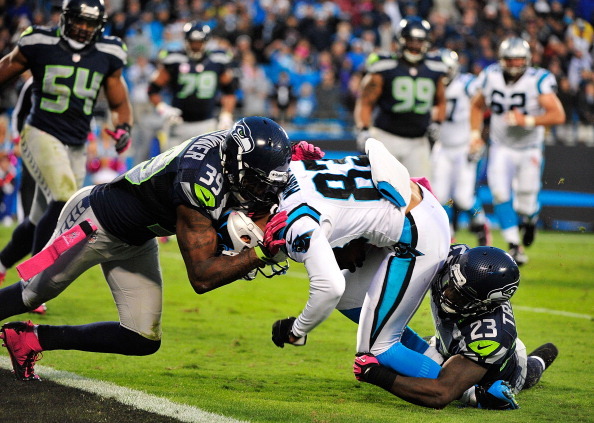 The Seattle defense dominated Newton and the Panther offense throughout the game including a fourth-and-goal stop that seemingly iced the game. While walking away from the close loss has a bitter taste, it will hopefully provide more fuel to the fire for Cam Newton and the Carolina Panthers. Newton and the Panther offense have been inconsistent at best, coughing up turnovers, squandering drives, and failing to capitalize when the opportunity presents itself. The Panthers head in to a bye week next week and will continue to make adjustments to improve their odds of winning. Love this article. Love this guy.